The human brain is a remarkable thing, and the incredible story of Taisia Sidorova, who gained an amazing artistic talent after having the left side of her brain removed, is proof of that. Three years ago, 21-year old Taisia Sidorova, from Sankt Petersburg, Russia, suffered a severe car accident that left her with a smashed skull and bone fragments wedged in her brain. 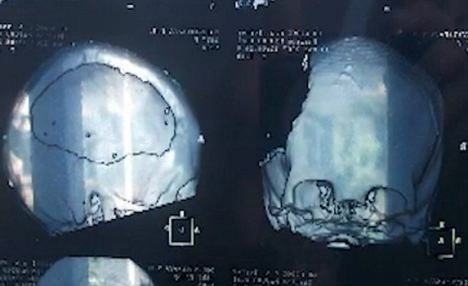 Doctors were skeptical about her chances of survival, and was even given the last rites, but even after she had the left hemisphere of her brain removed, she hung in there. The part of her brain responsible for logic and analysis was replaced with a protective metal place, but even though her family was warned that a long, painful recovery period was to follow, and that Taisia may never be the same, they never gave up on her. Irina Sidorova, the girl’s mother, remembers she was like a vegetable in the beginning, and doctors didn’t believe she would survive. But she stayed by her bedside praying, massaging her limbs and talking to her. The miracle she was waiting for occurred on New Year’s Eve, while she was crying on Taisia’s bedside. The girl moved her arm trying to wipe away her mother’s tears. It was the breakthrough nobody expected anymore, and in two years’ time she regained her strength, started to speak and even learned to hold a pencil and paintbrush. 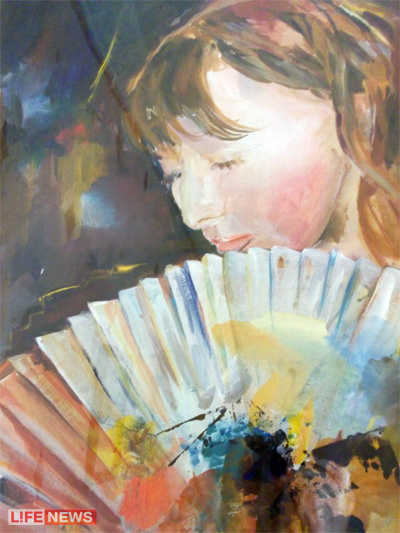 Although she had shown no interest in drawing and painting, before the accident, Taisia began sketching for therapeutic purposes and to pass the time, and when her family saw some of her works, they decided to buy her some paints, as well. Her art teacher remembers Taisia showed no artistic talent before her ordeal, but says she now has a natural talent for art and is at the top of her class. 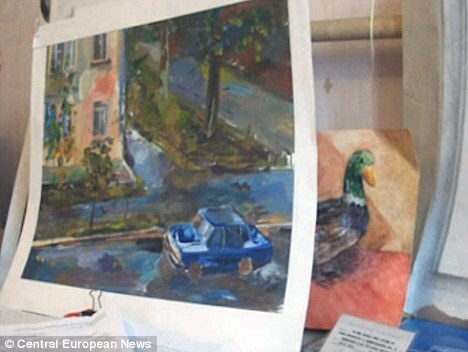 One of the doctor who treated Taisia Sidorova says her brain seems to have developed to compensate for the missing section, and has activated a previously undiscovered talent for art.